Volkswagen Commercial Vehicles presented the new e-Crafter in Hamburg, Germany – electrically powered with zero emissions on the road and designed for payloads of up to 1.72 tonnes. With production starting this month, the e-Crafter – with a power output of 100 kW (136 PS) – will join the new award winning Crafter range and the electric high-roof panel van signals the start of an electric mobility campaign, as Volkswagen Commercial Vehicles boosts its model line-up with partially and fully electrified vehicles. 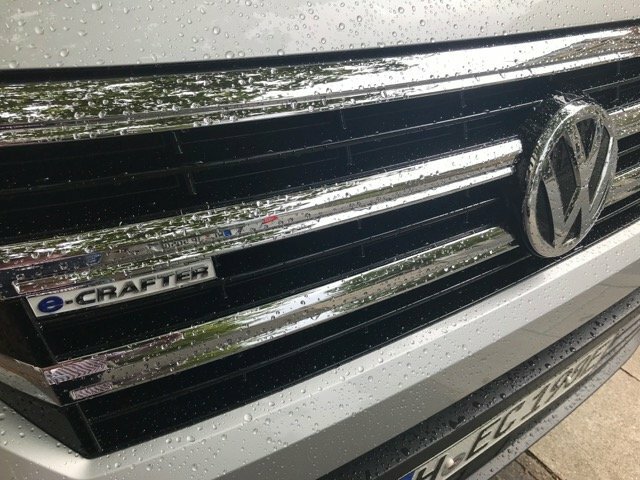 Over the long term, the e-Crafter will remain unaffected by environmental zone entry restrictions based on emissions class and drive type, such as those in place in Hamburg or Paris. Even before its market launch, the new e-Crafter was distinguished by the ‘European Transport Award for Sustainability 2018’ in the category of ‘Vans and Delivery Vehicles’. The e-Crafter was developed for all businesses which are active in urban areas like the “last mile deliverers” in the courier and logistics sector, tradespeople, retailers, energy suppliers and shuttle and taxi services. The e-Crafter effortlessly handles the real-world requirements for everyday use of city vans with its driving range of up to 173 kilometres (per NEDC) and a top speed limited to 90 km/h. In advance of the e-Crafter’s development, Volkswagen Commercial Vehicles evaluated 210,000 driving profiles from more than 1,500 customers. This study showed that most drivers cover between 70 and 100 kilometres per day with their van. Volkswagen Commercial Vehicles designed the new e-Crafter precisely for these distances – which often involve many starts and stops as well. That is why the e-Crafter concept was not produced for maximum range, but rather with a focus on a practical range relevant to everyday driving.